Chahal played a knock of 18 runs off 37 balls to script a unique record by becoming the only second batsman to top score in a match for India while batting at the number 10 or a lower position. 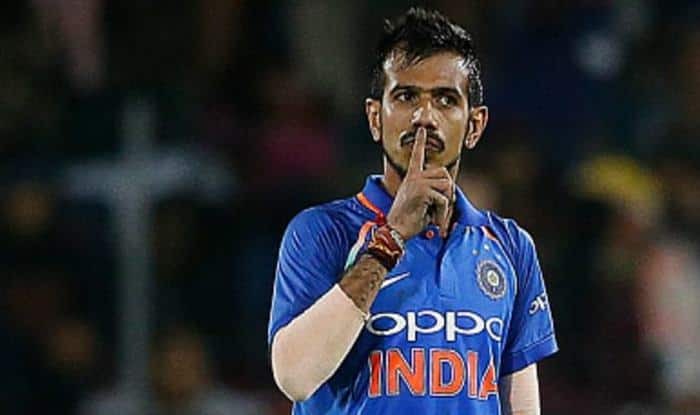 India vs New Zealand 4th ODI: Known for his bagful of tricks with the ‘white cherry’ – Yuzvendra Chahal has been India’s go-to bowler in the limited-overs format whenever the team requires a breakthrough. In his short yet effective international career, Chahal has developed a reputation for himself as a wicket-taker. But on Thursday, Chahal made headlines not for his bowling but for his ‘impressive batting’ during the fourth ODI between India and New Zealand. As the men in blue suffered an epic collapse against New Zealand, it was tailender Chahal, who held the one end and showed guts to survive the onslaught. After coming in at No. 10, the 28-year old top-scored with the bat for India on a day when the rest of the batsmen failed to deliver. Chahal played a knock of 18 runs off 37 balls to script a unique record by becoming the only second batsman to top score in a match for India while batting at the number 10 or a lower position. His unbeaten 18 is second to only Javagal Srinath’s 43 against Pakistan in 1996 which came while batting at number 10. Along with his spin twin – Kuldeep Yadav (15), Chahal knitted a 35-run stand for the ninth wicket bailing out India from an embarrassing situation. However, despite his best of efforts the visitors could only manage to post a dismal 92 runs on the board in 30.5 overs. Kiwi bowler Trent Boult picked 5 for 21 in his devastating spell of 10 consecutive overs to dismiss India for their seventh lowest ODI total — 92 in 30.5 overs for an eight-wicket win, the hosts’ first success in the five-ODI series. “It’s purely a conditions thing … It was nice to see the ball move in the air like that. I feel like I am a different bowler definitely when it swings. I made the most of it today,” Boult said.